Mexico is a huge and beautiful country that attracts millions of tourists every year. Sunny weather, stunning beaches, delicious food, and world-class cultural attractions are just a few of the reasons to go. However, with such a high volume of visitors, its easy to feel like you’re stuck in a crowd of tourists and that you haven’t seen the “real” Mexico, especially in the bustling resort towns of Cancun and Playa del Carmen. Even Chichen Itza, one of the modern wonders of the world, slightly loses its wow factor when you’re being jostled by hundreds of other people all trying to get the same perfect photo as you. So in no particular order, here are the five slightly off the beaten track destinations to check out the next time you’re in Mexico. This tiny island off the north coast of the Yucatan Peninsula seriously has it all: pristine white beaches, crystal clear turquoise oceans, chill cafes, and a good mixture of funky backpacker hostels and boutique hotels. Honestly, there’s nothing not to love. Even better, between June and September, it’s one of the best places in the world to swim with whale sharks and to see the bioluminescent plankton the whale sharks feed on. 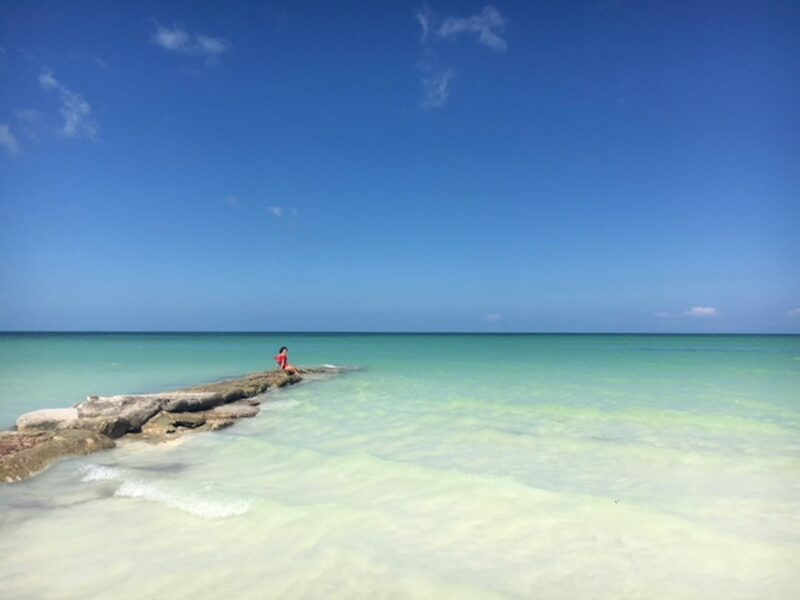 Sadly I wasn’t able to experience this as I visited in February but I still ended up extending my stay on Isla Holbox twice because I simply couldn’t bring myself to leave somewhere so perfect. The island is small enough to explore easily by bike or golf buggy in a day, or you can just lie on a hammock by the beach and enjoy the peace and quiet. This freshwater lake in the southern part of the Yucatan is another jewel in Mexico’s crown. Also known as the “lake of seven colors”, prepare to be wowed by the otherworldly beauty of the water. Make sure you stay in a hostel or hotel that has lakefront access so you can maximize the time you spend on or next to the water. I stayed at Zazil Hostel which was a little more expensive than the popular Yak Lakehouse, but included free kayaks, bicycles and paddle boards in the room cost. 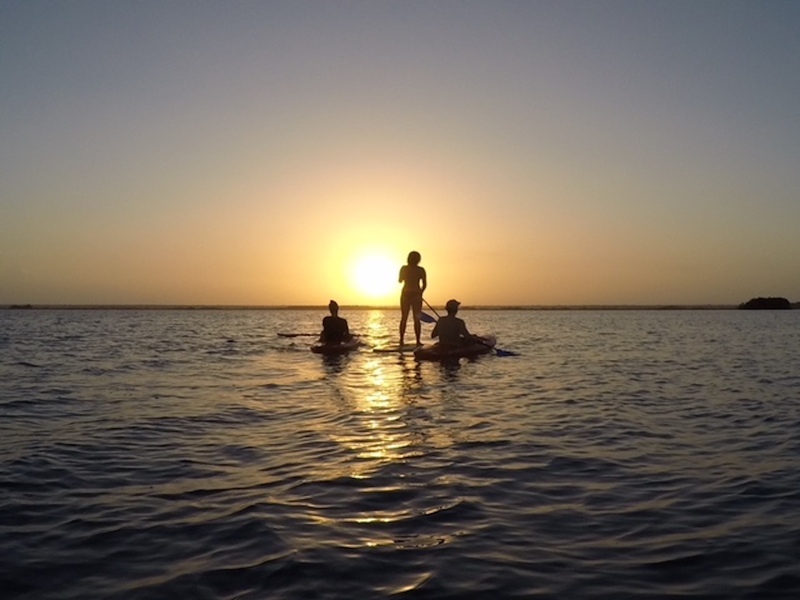 Witnessing sunrise and sunset from the middle of the lagoon was truly a breathtaking experience. There is even a cenote in the lake with a restaurant, slack-line, and swings over the water, and for 25 pesos you can have access for the whole day. The town of Bacalar itself is small and quiet, but it does have some great breakfast cafes tucked away in the side streets. Check out El Manati and Enamora for delicious fresh smoothies and healthy eats. The Mayan ruins of Tulum are rightly famous and are the 3rd most visited Mayan site in Mexico (behind Chichen Itza and Teotihuacan). I wasn’t expecting to like Tulum as much as I did, which is why I’ve included it in this list. There’s a lot of great things about Tulum, but I particularly appreciated using it as a base to explore other sites. Moving hostels every couple of days gets exhausting after a while, so it was nice to spend several nights in Tulum and just do day trips. 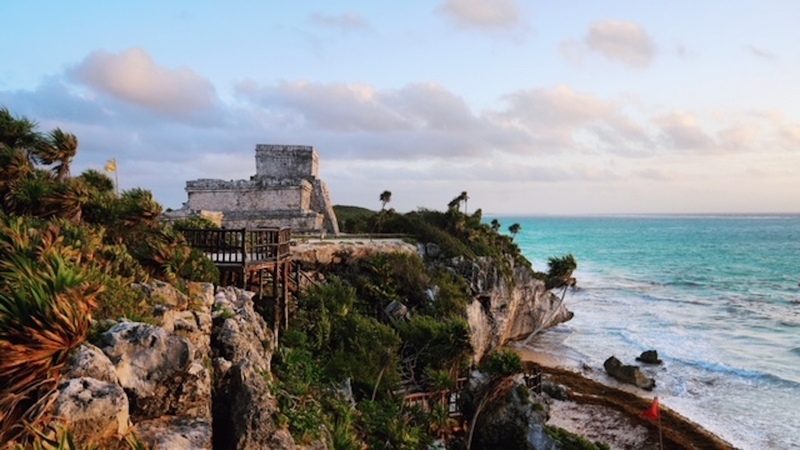 I absolutely loved the Tulum ruins, although we did rock up an hour before they officially opened because I’d read online that it was possible to gain admission from around 6:30 am rather than the advertised opening time of 8 am. Experiencing sunrise over the ruins was one of my favorite moments in Mexico and I would absolutely recommend trying to get in early before the crowds. Tulum is also a great spot from which to explore the Mayan ruins of Coba, which are a short drive away. If possible try and hire a car so you can also visit some of the many nearby cenotes. Underground cenote Zacil-Ha has 5m and 10m jumps if you’re looking for an adrenaline rush, or cenote Dos Ojos offers the opportunity to go diving or snorkeling through a network of linked cenotes. This sleepy surf town on the Pacific Coast is exactly what I thought Mexico would be like. There’s not a single multinational chain in sight, the pace of life is slow and chill, and you can go for hours without seeing another tourist. Several people told me that Puerto Escondido is what Cancun was like 20 years ago, so go now while it’s still an unspoiled gem. My absolute favorite thing about Puerto Escondido was the opportunity to visit a turtle sanctuary and help release newly hatched baby turtles into the ocean. A local eco-tourism company drove us to a wild beach where a local guy called Mario had started a little turtle sanctuary. There’s no government funding available so Mario relies entirely on the money raised by the tours, or on private donors. He drives his bike up and down the beach every night waiting for the mother turtles to lay their eggs, then carefully transports the eggs to a safe enclosed space on the beach to protect them from predators. Once the eggs hatch he calls the eco-tours and they bring tourists like you and I to help actually release the baby turtles. Watching the sunset over the ocean whilst the tiny little turtles crawled to freedom was an incredible moment. 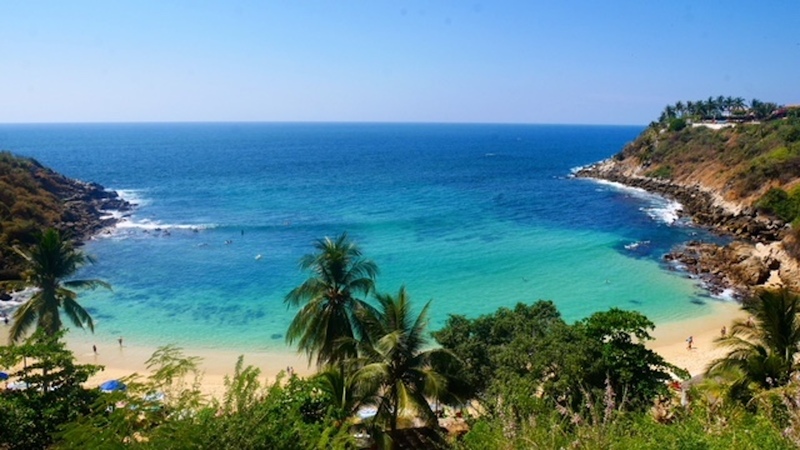 Some of the beaches aren’t ideal for swimming due to big waves and dangerous rip tides, but Playa Carrizalillo is a gorgeous tucked away cove with calm turquoise water perfect for sunbathing, swimming or snorkeling. The capital of Oaxaca state, Oaxaca city punches above its weight in terms of cultural attractions. Not as many local people speak English as in the Yucatan Peninsula, but it’s well worth brushing up on your Spanish to experience this beautiful and unique city. My friend Chiara and I arrived in Oaxaca at 5:30 am, fresh off the night bus from Mexico City, and after dropping our bags off at our hostel we spent the next couple of hours wandering around the historic city center. The sun rose slowly behind the neighboring hills and the sleeping city slowly awoke around us. The brightly painted colonial buildings are charming even when in a state of disrepair, and the huge church in the central plaza was all the more impressive for being completely deserted with not a tourist in sight. In addition to wandering around the quaint streets of the old town, there are several worthwhile day trips from Oaxaca City that you should take. Less than an hours drive away is Monte Alban, an incredibly well preserved Mayan site. Due to our very early arrival in Oaxaca, we arrived at Monte Alban as it opened, and were able to wander around virtually undisturbed. By the time we left at 11 am the carpark was completely full with buses and tour groups, but even if the crowds don’t bother you I’d recommend visiting early in the day before the sun gets too hot. 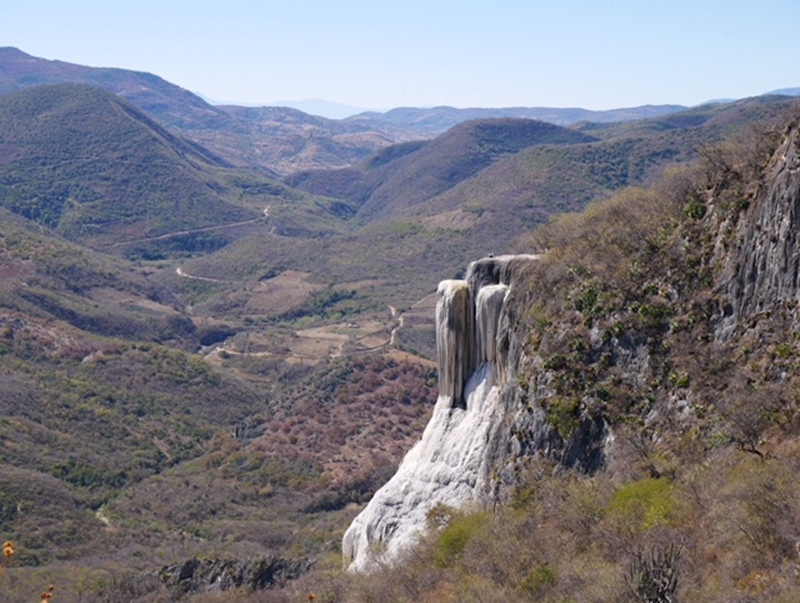 Another interesting site is Hierve el Agua, a naturally occurring rock formation that looks like cascades of water. If you don’t have a car then you’ll either need to book a tour or hire a taxi to get here but its definitely worth it for the panoramic views and a chance to swim in a natural infinity rock pool. Oaxaca state is also a center of traditional Mayan textiles, and there are still many artisan producers weaving incredible pieces entirely by hand. Is Mexico on your bucket list for 2018? If you’ve already been, where are your favorite spots? Share with us in the comments below. Becca is an experienced solo traveler and event manager who firmly believes that with the right attitude anything can be an adventure. 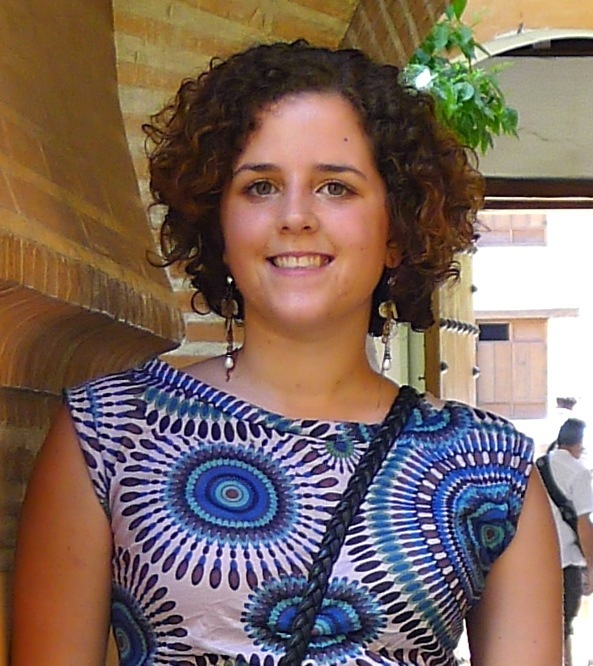 After gaining a degree in history from the University of Manchester she worked for two years in the UK as a wedding and events coordinator before quitting her job to travel in late 2014.